King Shaka kaSenzangakhona was the illegitimate son of King Senzangakhona kaJama of the abakwaZulu. When Senzangakhona died in 1816, he was succeeded by his son, Sigujana, who was assassinated within about a week by another half-brother who then disappeared, leaving the way open for Shaka to succeed his father. Shaka immediately began consolidating his position and forged a close alliance with the Mthetwa under their inkosi, Dingiswayo kaJobe, who was killed by the Ndwandwe in 1818, when Shaka failed to provide support during that particular campaign. Shaka then absorbed the Mthetwa into the abakwaZulu, thus beginning an era of consolidation and subjugation of scattered Nguni-speaking clans and communities, which resulted in the establishment of the Zulu nation as it exists today. Shaka established several ‘capitals’, the first being named kwaBulawayo (‘The place of the Oppressed One’ – a reference to the torment he suffered as a youth due to his illegitimacy). According to the author A T Bryant, Olden times in Zululand and Natal (1929), Shaka’s favourite regiment, uFasimba (meaning ‘The Haze’), may have been garrisoned there and, indeed, may have been used in its construction. It was situated on the right bank of the Mhodi stream, a tributary of the Mkhumbane River in the eastern extremity of what is known as eMakhosini (the ‘Place of the Kings’, where at least seven Zulu kings are buried: Zulu, Phunga, Mageba, Ndaba, Jama, Senzangakhona and Dinuzulu). It is situated on the farm eMakheni (‘The Perfumery’) owned by Mr Paul Smith, a member of the KwaZulu-Natal Branch of the South African Military History Society, and is indicated by the presence of ‘kweek’ grass [Cynodon aethiopicus] and an enormous isivivane (a Zulu lucky cairn). KwaBulawayo. Paul Smith and Ken Gillings at the isivivane eMakheni itself is relevant in early Zulu history; it was originally built by Ndaba and used by his grandson, Senzangakhona, as his isigodlo (harem/royal enclosure). Described by Nomguqo Dlamini (who was, as a girl, a member of King Cetshwayo’s isigodlo) as ‘an old and memorable royal umuzi (village/homestead)’, eMakheni was restored by King Mpande kaSenzangakhona, who used it for ceremonial events where members of the Zulu royal household were anointed with sweet-smelling herbs such as ‘impephu’ [Helichrysum herbaceum, Helichrysum odoratissimum, Helichrysum gymnocomum, Helichrysum splendidum, Helichrysum umbracaligerum and Relhania pungens]. It is also where Prince Cetshwayo kaMpande was appointed Mpande’s successor by his ‘prime minister’, Masipula Ntshangase, shortly before the official ‘coronation’ by Sir Theophilus Shepstone at Mlambongwenya on 1 September 1873. 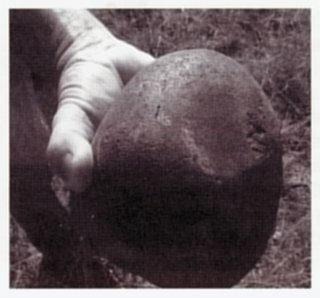 A grindstone found at KwaDukuza Shaka moved his kwaBulawayo to a site along the Eshowe/Empangeni road. It is marked by the presence of a National Monuments Council cairn. It was from this ikhanda (military barracks) that Mzilikazi Khumalo set out after being expelled by Shaka. Bulawayo in Zimbabwe is named after it. Shaka’s last great capital was built at present-day Stanger and was known as kwaDukuza (meaning ‘the place where you become lost’) and it was here that he was assassinated by his half-brothers, Dingane and Mhlangana, on 22 September 1828 (although some accounts state that it was on 24 September). Dingane planned his assassination carefully; he waited until the majority of the amabutho (warriors) were away from kwaDukuza, engaged on what would become the ill-fated Balule Campaign against Chief Soshangane. Shaka was therefore left relatively unguarded and inDuna Mbopha, his personal chief advisor, appears to have been part of the conspiracy to assassinate him. After the assassination, Dingane moved to the eMakhosini, where he established his own capital, known as Mgungundlovu (meaning ‘the Secret Conclave of the Elephant’, a reference to the King). There was, however, a vital ritual that had to be carried out; this was the transfer of Shaka’s spirit. Dingane therefore built a repository that he named kwaDukuza after Shaka’s last capital, which became known as uMuzi weDlozi (meaning ‘the Homestead of the Spirit’). 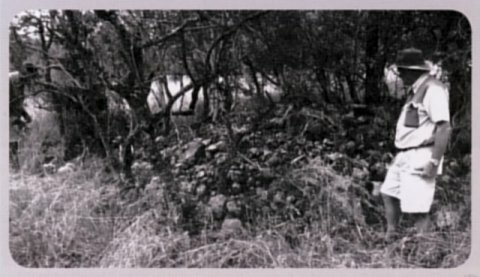 A so-called umuzi wesinthutha (‘Spirit hut’) was erected to retain Shaka’s goodwill, because Dingane viewed his quarrel with Shaka as political and not personal. 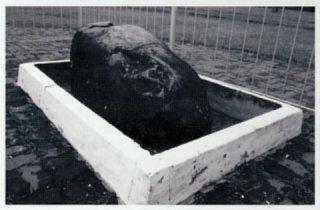 To accomplish this, a branch of an umlahlankosi tree (also known as an Mpafa or Buffalo Thorn [Ziziphus mucronata]) was used to sweep Shaka’s grave at the original kwaDukuza and then it was carried to the new site after being sprinkled with the gall of a sacrificial animal. (This would, in all likelihood, have been a goat’s gall bladder, the contents of which are highly prized because they are considered to comprise the very essence of the animal since it has neither an inlet nor an outlet.) 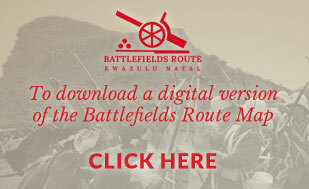 The site chosen is situated in the eMakhosini Valley about 2km from the grave of Zulu kaMalandela, at the entrance to Mgungundlovu, close to the Nzololo Stream. After the defeat of King Dingane kaSenzangakhona’s army at Ncome (Blood River) on 16 December 1838, with the Voortrekkers advancing on Mgungundlovu, he set fire to his capital and possibly to kwaDukuza as well. The intensity of the flames baked the hut floors brick-hard, thus preserving them. 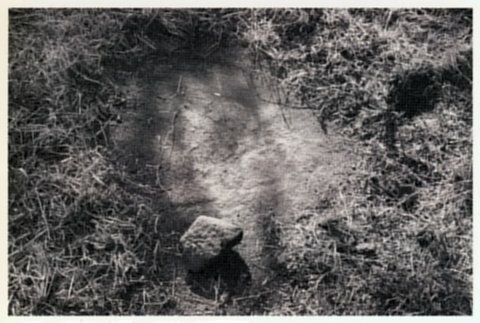 Remains of a hut floor at KwaDukuza The only link with the locality of the spiritual kwaDukuza was through oral tradition and a rough sketch that appears in a book written by H C Lugg in 1949, entitled Historic Natal and Zululand. In January 2012, Paul Smith and fellow farmers, Nico Harris and Gavon Calverley, enlisted the services of a kehla (old man) named Njoko Biyela, who was fully aux fais with the Zulu history of the eMakhosini, to give them some idea of the locality of the kwaDukuza uMuzi weDlozi. After a brief search in the vicinity of the alleged site, a hearth was discovered, followed by several more. Then hut floors were uncovered as well as some grain pits. Several pot shards were also discovered in the roots of upturned aloes. This area of the eMakhosini may be considered to be amongst the most sacred in Zulu culture and history and the discovery of the kwaDukuza uMuzi weDlozi must be seen as one of the most significant in recent times. Lugg, H C, A Guide to the Zulu Social System (self-published booklet, 1978). Sigujana (aka Mfokazana) kaSenzangakhona: Dates unknown ? Please accept my apologies for this oversight.